Oh my! Your Apple iPhone or iPad battery icon has turned yellow and you don’t know why. What does it mean? 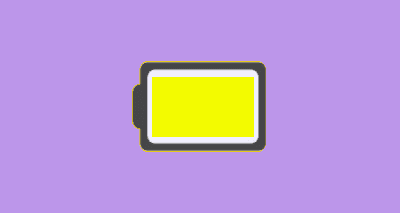 The yellow battery on your iOS device means that it is in Low Power Mode. This mode exists to preserve battery power by limiting background tasks, automatic downloads, and some visual effects. Turn “Low Power Mode” to “Off“. How did I end up in Low Power Mode? When an iOS device reaches 20% in battery power left, a prompt appears asking if you wish to place your device in Low Power Mode. Most likely, you selected “Yes”, then your battery icon turned yellow.